I just got the news, via NY Times notice, that one of my favorite writers of all time, Christopher Hitchens, has passed away at the age of 62 from esophageal cancer. In honor of his passing, I’ll donate half of all proceeds from the sales of my poster portraits of him to the American cancer society for the rest of 2011. 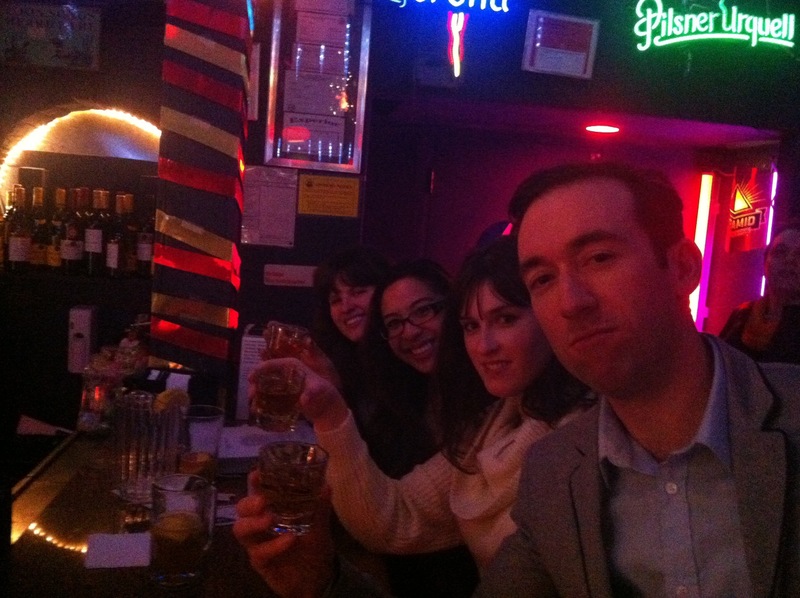 Me, Emily, Bianca, and Catharine toasting Johnny Walker Black to the great man. May his spirit, for lack of a better word, live on.